Mosquito season has begun. Many residents have contacted my office to alert me to the presence of mosquitoes and to ask about controlling the mosquito population. The first thing you should do is report your mosquito complaint to the Nassau County Department of Public Works at (516) 571-6900. Every complaint is investigated. 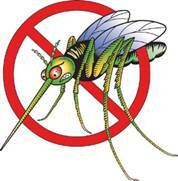 Next, it is important to know that mosquitoes are territorial by nature, and generally do not leave a 200 foot radius. This means that your mosquitoes are likely reproducing on or near your property. Please survey your property for anything that may hold standing water. Mosquitoes need standing water in which to grow and become breeding grounds for mosquitoes. Containers – Empty them, turn them over or get rid of them! These include buckets, barrels, boats, pots, saucers, toys, etc. When will Nassau Spray pesticides to control the mosquito population? The Nassau County Department of Health conducts mosquito surveillance at 42 trap sites throughout Nassau County to monitor health factors, including whether mosquitoes are carrying diseases, such as West Nile Virus. Spraying pesticides by truck or airplane is an effective way to minimize the mosquito population and is utilized if and when a health concern is determined. LEGISLATOR WALKER WANTS TO HELP YOU AVOID BECOMING A VICTIM OF IDENTITY THEFT! AN IMPORTANT SAFETY UPDATE FROM LEGISLATOR WALKER: HURRICANE SEASON IS HERE! Walker & The Nassau County Department of Consumer Affairs Warn Residents: Be Aware of these Scams! Nassau County Legislators Walker and Schaefer Encourage You to Become a Member of C.E.R.T. 01/20/15 - Legislator Rose Marie Walker Encourages You to Become a Member of C.E.R.T.